James Townsend is a descendant of Pvt. Andrew Jackson Dodson. 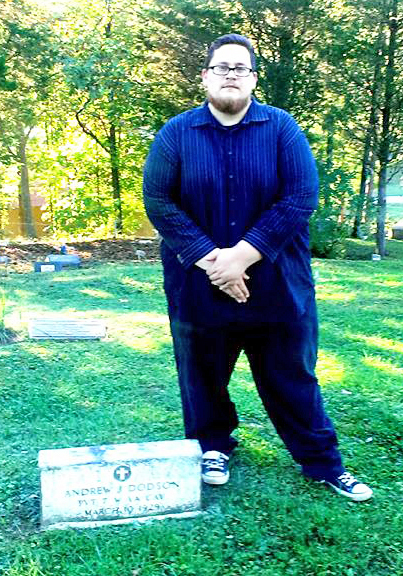 At right, descendant James Townsend visits the grave of his ancestor, Private Andrew Jackson Dodson of Co. L, in French Cemetery, Kanawha County, West Virginia. Private Dodson’s brother, Private James Robert Dodson also of Co. L, is also buried in the same cemetery. 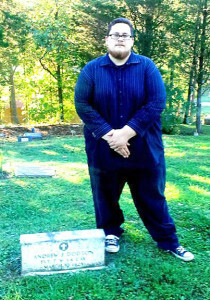 Mr. Townsend has two other ancestors in the 7th West Virginia Cavalry, 1st Lt. Charles W. Angel, and Private John N. Dent of Co. A, who is buried at Andersonville, Georgia. If you have information on the grave location of a 7th West Virginia Cavalry soldier, please share using the Contact Form. Thanks.